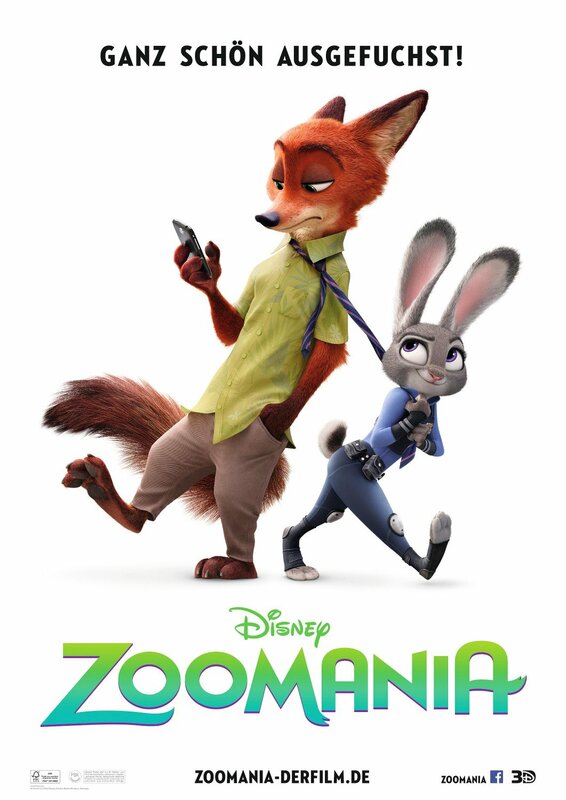 Synopsis: Judy Hopps, also known as Officer Hopps, is solving a case on a missing otter. On her way, she meets a fox, Nick Wilde. The bunny and fox, natural enemies – one prey and one predator, must ignore the labels of their characters and investigate this case together. Zootopia is comical yet in-depth movie. Zootopia repeatedly asks characters to look past stereotypical ideas. The most obvious stereotype in this film is that carnivores eat herbivores because nature works that way. When Hopps was being interviewed, she mentioned about the biology of carnivores, alarming the city, kicking Mayor Lionheart out of office, and worst of all, driving the friendship between Nick and herself apart. Zootopia constantly expresses this theme and is filled with moments like these, about overcoming or enduring these stereotypes. Unexpected moments and twists and turns entertain the audience. In one point of this story, Nick was shot and transformed to what old predators were like, turning wild. He started to chase Judy. That scene was full of drama and the ending was unexpected. Twists and turns like these make this film, directed by Bryon Howard and Rich Moore, exciting. It is difficult for anyone not to be drawn into this movie. The setting and lighting both have a part in Zootopia’s entertainment and it’s exciting plot. One part of the film shows the different terrains (including frozen tundra and rainforest), when Hopps was on the train ride to Zootopia. The brightness of the scene can change how the audience feels. Comedy is also a huge factor in this movie’s success. Some of the biggest laughs come from where Hops and Nick went to Idris’ water buffalo captain, who then said they could not start without acknowledging the elephant. All these different components (thrilling plots that hold drama, setting, lighting, setting, and comedy) combined create an excellent piece of work. Not only is this film a very entertaining one, but it also teaches a very important moral. Zootopia is an intense and comical movie that I highly recommend.